Put Your Autumn Leaves To Work! Rather than bagging leaves for curbside pick-up, use them. They’re worth their weight in gold.As leaves decompose, they preserve moisture, modify soil temperatures, prevent erosion and add natural, slow-release nutrients to the soil. Mowing – Probably the easiest way to harvest leaves, especially if you have a small property, is to mow them. A mulching mower will make it easier. Once chopped, let the earthworms go to work to pull them into the soil and break them down. Composting – Add leaves to your vegetable and grass clippings in a compost pile. In spring, turn the pile and then watch the sun, rain and helpful insects turn the pile into rich, black soil. Mulching – I discovered this method a couple of years ago, a technique that vastly improved the quality of my perennial beds and reduced the need for weeding. 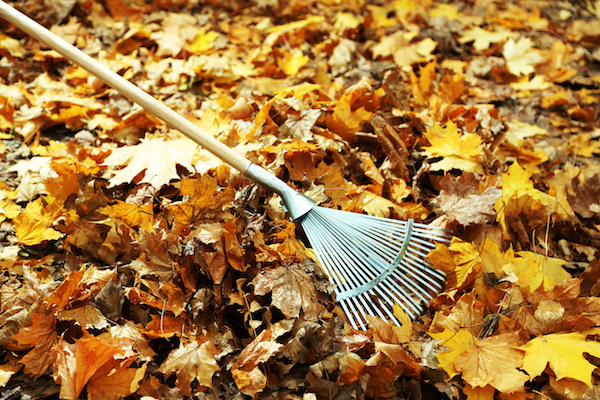 Use a mulch mower to shred the leaves then spread them directly on the beds, about two to three inches thick. Mulch can also be spread under trees and shrubs. Digging – Leaves can be worked into gardens and flowerbeds directly, by digging or tilling. Six to eight inches of leaves worked directly into the soil will improve aeration, particularly in clay soils. In sandy soils, decomposed leaves will help with water and nutrient retention. This entry was posted in Homestyle and tagged autumn, fall, fall lawn care, raking. Bookmark the permalink. Find the best family amenities and services in the Ottawa area. Sign-up for our Must-Have Eblast! © 2019 Coyle Publishing Inc. All rights reserved.